In this case VR helps to show simplicity, minimalism and functionality of the space. 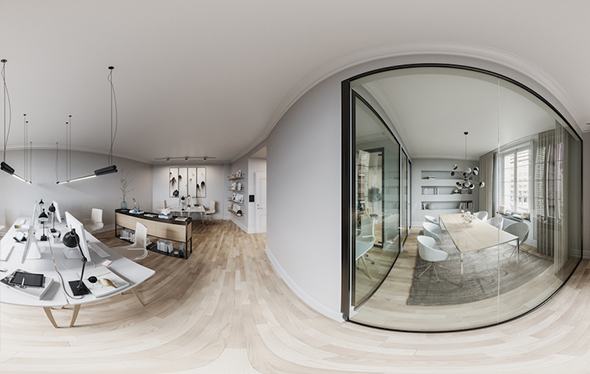 In the 360° tour the future tenants could experience an environment where the wood and clean design furniture were the main characters. Beyond being beautifully crafted and attractive, Scandinavian design tends to be very practical.